The Yealink VC200 Video Conferencing System Designed for small meeting rooms with an economical price tag.The Yealink VC200 offer 4k Resolution Camera and an E-PTZ Support.The Full HD 1080P Offered with 4X Zoom Capable conferencing Camera.The VC200 Support built-in Wi-Fi and Bluetooth along with wireless content sharing. Video Codec Support include H265/HEVC, and it can reduce the bandwidth requirement. Yealink Dubai offers outstanding Video Conferencing Products. Yealink VC200 is a cost-effective entry-level Videoconferencing System for SMB Small Meeting Rooms.Yealink VC200offer 4K Video Conferencing Camera without a PTZ functionality. Instead of physical PTZ, it offers E-PTZ functionality in Camera. The Wide Range camera allows everybody in the meeting room covered. This device has the protocol compatibility for SIP as well as H.323, will enable it to be used with wide range of applications. VC200 supports the sharing of content in wifi and the connection of a TV monitor via HDMI port. The Yealink VC200 Video Conferencing End Point support H.265 Video Codec. The H265 Codec dramatically reduces the bandwidth requirement of Video Communication while preserving the high-quality video communication. You can enjoy quality communication even conditions like up to packet loss up to 30%. The VC200 offer high capture capacity integrated Microphone, and You can fix the unit on Top of the LED/LCD Screen. 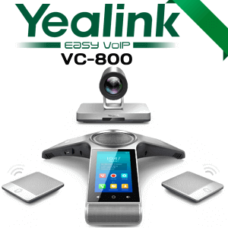 Yealink VC200 Can be used as a Corporate VC EndPoint or an Independent conferencing System for SMB Customers. 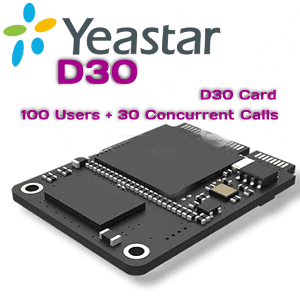 It supports YEALINK CLOUD VC Platform and Third part platforms. It has one HDMI input allow you to share the content of your laptop while on Video Meeting. This device is highly user-friendly and easily installable. You don’t have to do complicated setups in your firewall. Yealink intelligent firewall traversal/ NAT traversal H.460 seamless plug and play operation for VC200 users. The Audio codec support includes OPUS, G.711, G.722, ensure high-quality Audio. Yealink VC200 Video Conferencing offers inbuilt Open VPN Support allows you to securely connect your Video Conferencing System.VC200 Support both SIP Protocol and H323 Protocol ensure wide incomparability with different operating conditions.The Device offers inbuilt Bluetooth and Wifi for Easy connectivity AND Data Sharing. 16 GB of internal Storage offered for Internal Video Conferencing Recording. It offers FULL HD 1080P 30fps Video with a Bandwidth requirement of 1.3 MB. HD 720P 30fps Video communication required a bandwidth of 700Kbps. Thanks to the highly efficient H.265 Codec.